My mother gave me a series of Agatha Christie books as a gift. Some of them I had read before, but The Hollow was new to me. I really enjoyed it. The Hollow is the country estate of flighty Lady Lucy Angkatell, who invites Belgian detective Hercule Poirot, brilliant selfish specialist Dr John Christow and his wife, a plain woman called Gerda but also his mistress the sculptress Henrietta. In-depth characterization is perilous in a detective story, where the main interest is the mystery. However, with Christie characterization is an integral part of the plot. In “The Hollow”, for instance, a romance is superbly delineated and of great interest by itself. An actress, Victoria, occupies next door to the Hollow. She was the doctor’s fiancee whom he dumped fifteen years ago. The doctor lies in a puddle of blood next to the swimming pool, Gerda stands over his body with a gun, while the other guests look shocked. The book is also interwoven with the crime both in terms of motive and metaphorically. A detective story, being a genre work, can perhaps never be great art. But The Hollow certainly gives something of the same satisfaction great art can give. I have since seen a television adaptation of this story too. However, I always get great value from a “whodunnit” because I never remember who did! 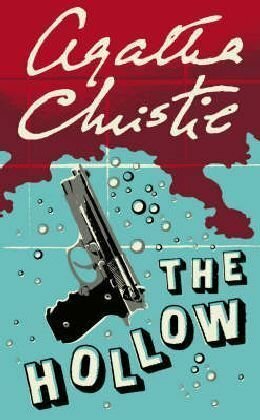 Other Agatha Christie books reviewed on this site include: Five Little Pigs, https://bookreviewstoday.wordpress.com/2014/06/26/five-little-pi…gatha-christie/: Peril at End House, https://bookreviewstoday.wordpress.com/2013/06/16/peril-at-end-h…gatha-christie/: Evil Under The Sun, https://bookreviewstoday.wordpress.com/2013/07/14/evil-under-the…gatha-christie/: and Why Didn’t They Ask Evans: https://bookreviewstoday.wordpress.com/2014/01/24/why-didnt-they…tha-christie-2/.